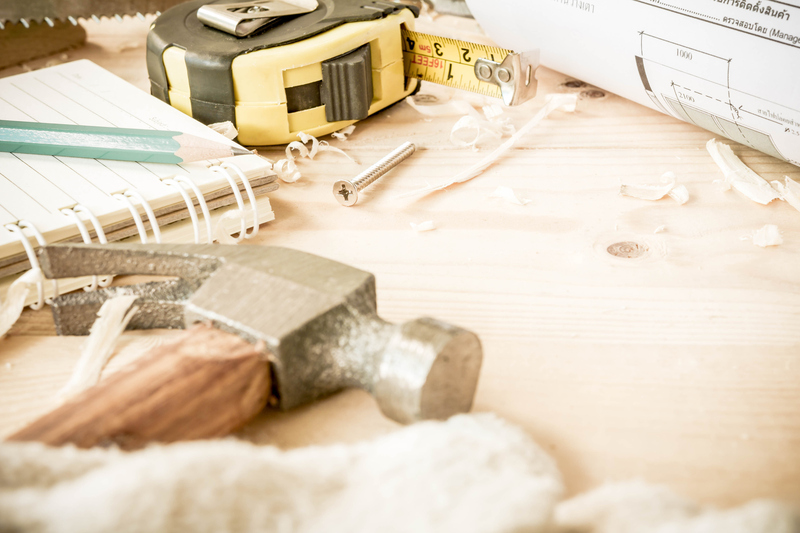 Kitchen renovations happen to be at the very top of the list for many first time homeowners, who are looking to make improvements. If you don’t plan wisely, replacing or removing existing fixtures can cost more than a brand new vehicle. But don’t sweat it, read on for a budget friendly remodeling tip to make your first home, a dream home! You just closed the deal on the home of your dreams and the house was perfect, except for the kitchen. It definitely needs an upgrade. As the gathering space of the home, you’ve decided the dated, ugly and worn out neon blue kitchen countertops must be the first to go. Trying to create a beautiful new look but with a limited budget, where do you start? 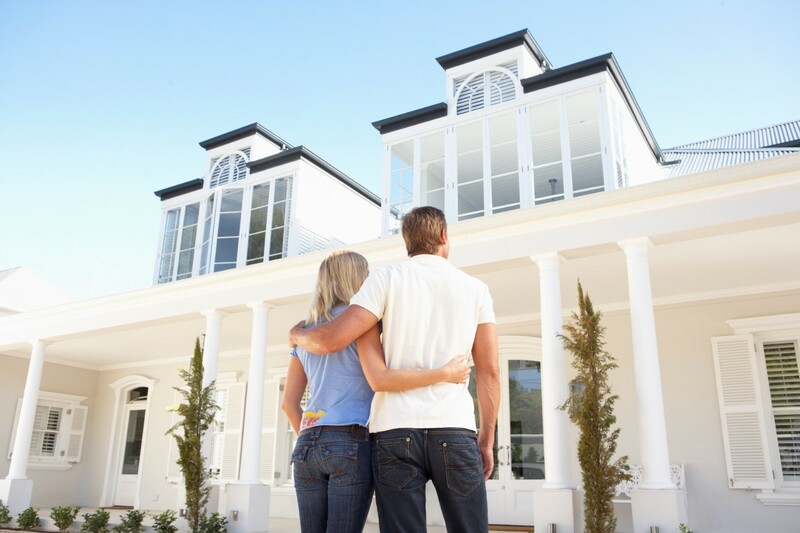 First, you are in love with your new home now, but more than likely it won’t be your final stop. Not only can replacement exhaust your budget, but when you start moving plumbing and wiring, the costs can increase substantially. To get the most out of your budget, explore the many different renovation methods outside traditional replacement without compromising on style. For example, Miracle Method offers a vast selection of designer finishes for upgrading laminate, tile, Corian and cultured marble surfaces. Refinishing makes kitchen remodeling for first time homeowners incredibly easy and affordable. 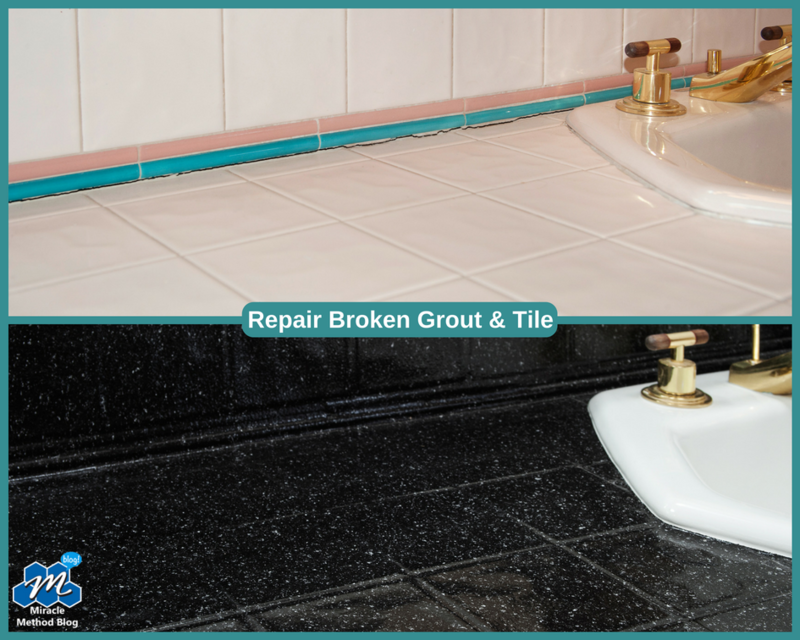 And fortunately for new homeowners, Miracle Method Surface Refinishing can repair and refinish any damaged, worn, cracked, outdated or dull surfaces for a fraction of the cost of replacement. 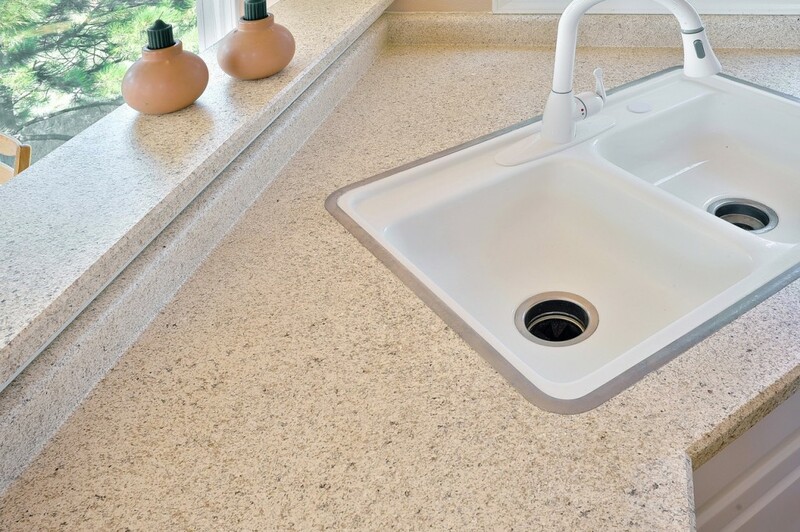 Refinishing can even eliminate burns, cuts and scratches to countertop surfaces. Check out their designer collection of Natural Accents ® stone look finishes for a beautiful, modern appearance. 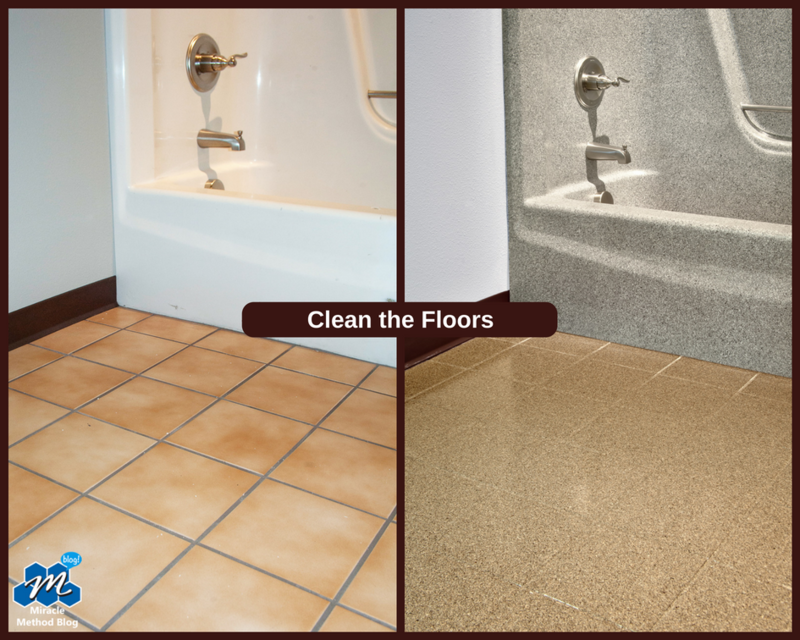 Many home remodeling professionals, realtors and interior designers recommend surface refinishing with Miracle Method as a high quality alternative for a tremendous value. With an average cost savings of 75 percent compared to the cost of granite and real stone, it gives you the look you want at a fraction of the cost. 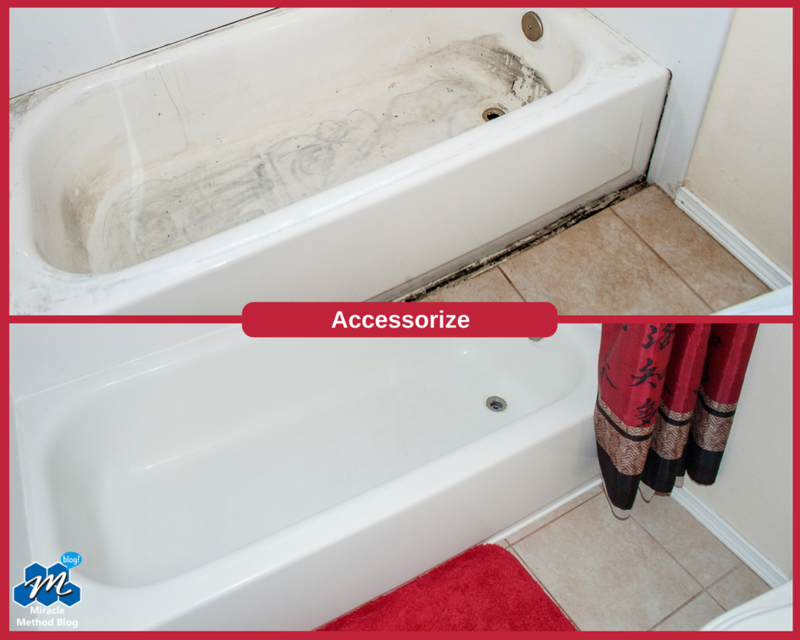 For more information about Miracle Method Surface Refinishing, check out our website for more information, or call to schedule a free estimate at 855-212-7337. Click here to locate a Miracle Method location near you! 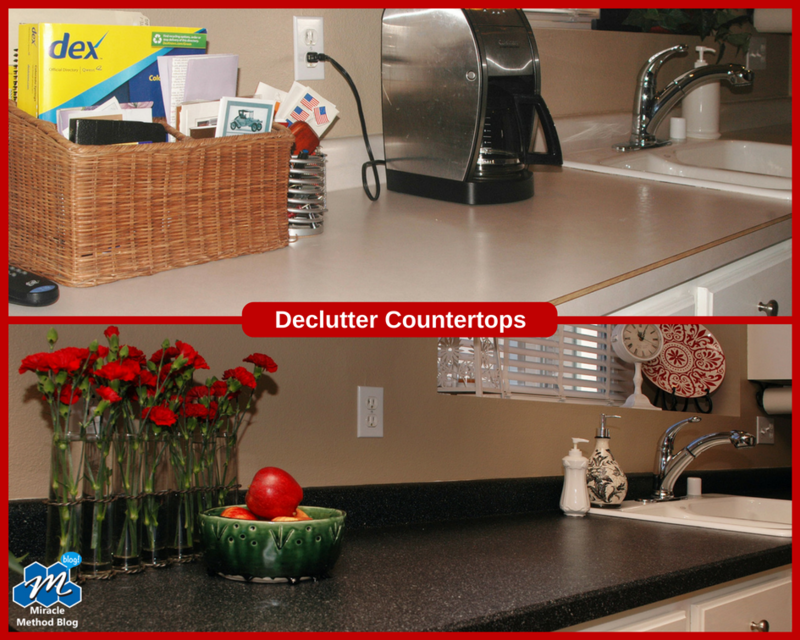 Update your kitchen countertops before summer guests arrive for a family reunion! 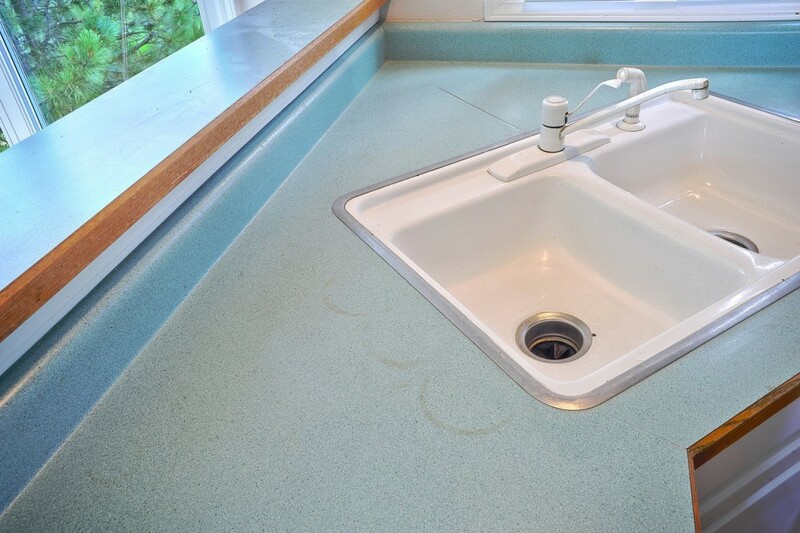 Last summer when you volunteered to host this year’s family reunion, you made a mental note to do something about your worn out kitchen countertops. You were already thinking about replacing them, and the thought of having new countertops to show off to your family was exciting… but with the hustle and bustle of your work and family life, you kept putting it on the next month’s to-do list. Summer is screaming by and you’re two weeks away from your family reunion and you don’t want your scratched up, outdated countertops to be the talk of the reunion. 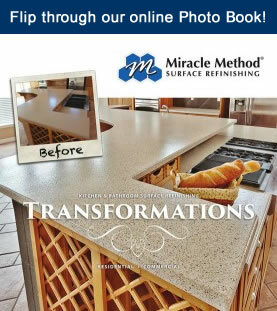 Fortunately, while visiting with your neighbor, she mentions that she just had her countertops refinished by Miracle Method and, after knowing the shape her countertops were in before they were refinished, you decide to visit the Miracle Method website for more information. 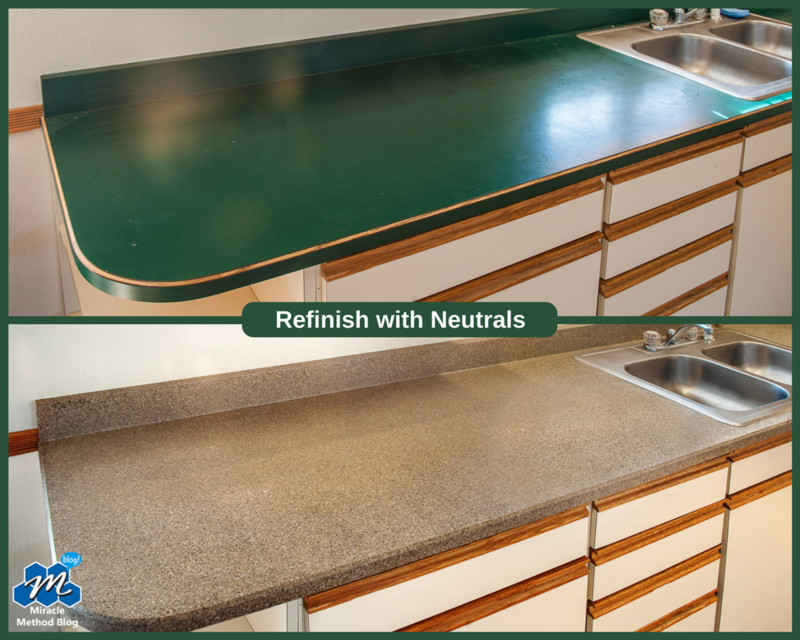 There, you learn that Miracle Method can refinish your countertops to a like-new look and feel in just a day or two, and that you’ll save around 30% to 50% over the total cost of replacement. There’s no messy construction involved since Miracle Method refinishes fixtures in place. Any evidence of scratches, chips, or cuts will be gone and you’ll be left with a lovely countertop in a new color and texture of your choosing, and the life of your countertops will be extended by 10 to 15 years. The final result will be gorgeous countertops that your family will think you spent thousands of dollars on, and you’ll gladly share with them of how Miracle Method transformed your countertops. Before: Tired and scarred old countertops in need of an update. 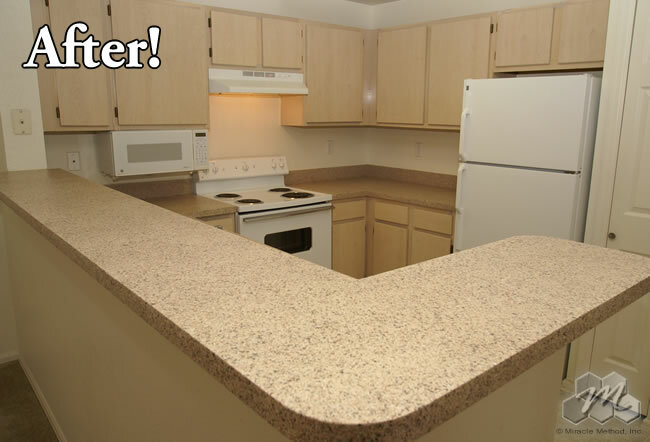 After: The same countertops updated with Miracle Method’s Natural Accents stone-look finish! 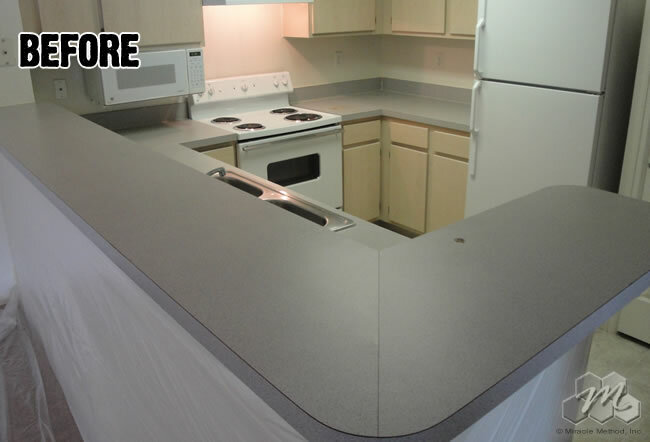 Visit the Miracle Method website today for more information on our countertop refinishing services. To speak with a representative, please use our online locator or call 855-212-7337 to reach a franchise near you.